CLARIANT SEES COLORS BECOMING MUTED FOR 2019, AS CONSUMERS COME TO GRIPS WITH A COMPLEX WORLD. CMG’s President, Judith van Vliet works as a Designer for Clariant ColorWorks EMEA where she is responsible for trend forecasting and reporting for Global and European markets for Automotive, Textile & Carpet, Consumer Goods & Packaging. 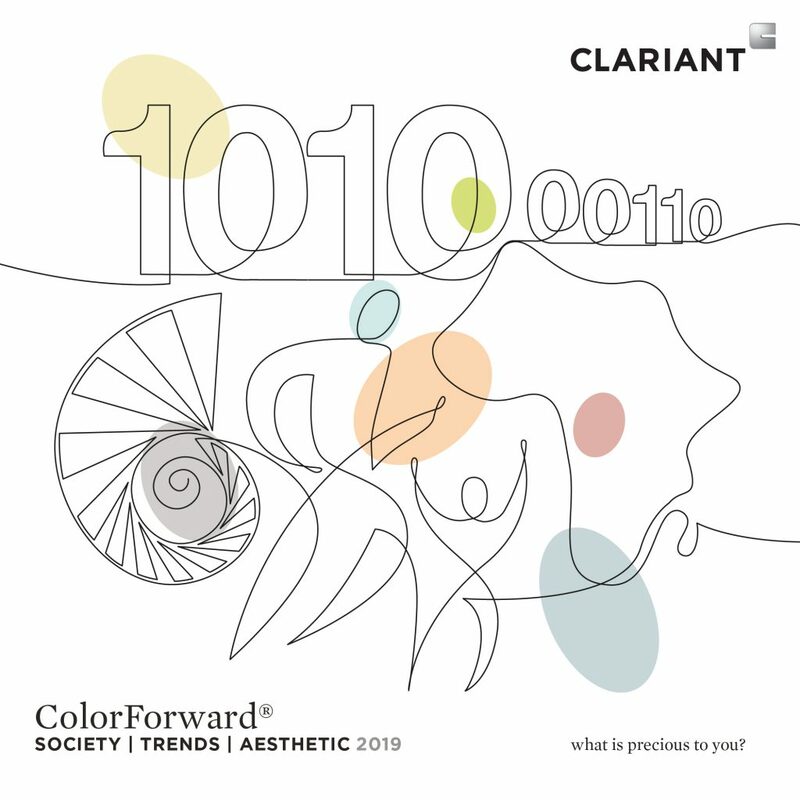 Van Vliet is also the leader of the ColorForward team which recently announced the release of ColorForward® 2019, the 13th edition of the annual color forecasting guide for the plastics industry. 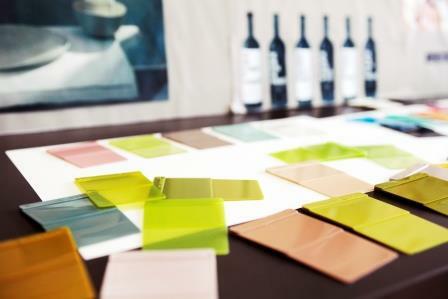 Van Vliet plans to share the highlights with us at the upcoming Asia Pacific Conference so we asked her to give us some insight about what we can expect from color in 2019. Do not Disturb – The color palette for Do not disturb is simple: like pastels, they are serene, soft, and minimal, though all but one – a transparent light green dubbed ‘focus’ – have a dusty cast that quiets them even further. A slightly grey white, for instance, is called ‘white noise,’ and a greenish blue is named ‘ἀταραξία von has fidanken’, a Greek word for calmness or composure. CTRL+F – Colors representing the CTRL+F trend are ambiguous, enigmatic, and contrasting: –both light and dark, solid and transparent, with two of the five including a glitter effect. One of those is a smoky, translucent black named ‘The Unknown: now boarding.’ A neon orange (‘The dawn of robotocene’) is punchy, energetic and somehow synthetic, while a Champagne gold (‘Mirroring human,’) is a dynamic neutral. Made in Human – One of the color chips (called ‘ColorWorks, Untitled, 2017, ABS on ABS, 9×6 cm,’ like the work of art it is) is made by 3D printing, a first for ColorForward. This 3D-printed plaque is canvas-beige in color with a brush stroke of purple symbolizing the human creativity in this machine-made artifact. Other colors include, ‘One face, one human race’ that is a totally random combination of several colors, making every chip is unique, and yet all are part of the same family. Umswenko – The colors chosen to represent this trend are not stereotypically African. They are the brightest of the ColorForward 2019 palettes, and yet they are somewhat toned down. They are juicy and energetic like ‘Tribeat,’ an apricot orange, or a jade green called ‘La Sape.’ This word describes a flamboyant style of dress adopted by so-called Congolese Dandies who, despite crushing poverty, spend lavishly of colorful clothing that they use to assert their independence and dignity. Judith van Vliet also provides design and color consultancy, co-creating workshops on innovation, consumer & Lifestyle Insights. She is creatively responsible for ColorForward, Clariant’s annual color direction guide. Van Vliet is a Global Trend Panelist at Mix Magazine and serves on Color Marketing Group’s Executive Committee as President, where her in depth knowledge of color, design and trends, helps maintain CMG at the forefront of global color forecasting. COME TO THE CONFERENCE TO LEARN MORE FROM CLARIANT!